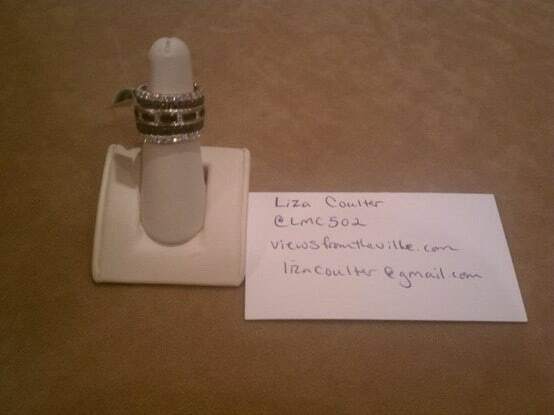 Want to win up to $10,000 in diamond and black diamond Ritani rings from Views From the ‘Ville? Head over to Pinterest and “like” this pin (not re-pin, must be a “like”). If this pin has the most likes by noon EST tomorrow ( 3/12), one person will be selected from all “likes” to win the stack of 5 rings shown! Like this pin to enter! If you need a Pinterest just fill out this form and I’ll send you one.